With the release of Samsung’s Galaxy SIII, they brought loads of new software goodies to the world. One of the more well-known features is called Smart Stay. The software utilizes the front-facing camera to detect whether or not the user is reading something and will not dim the display if so. Pretty neat. Well, a developer over at XDA felt that not only SGSIII owners should be able to benefit from this and decided to make a replica of the software. 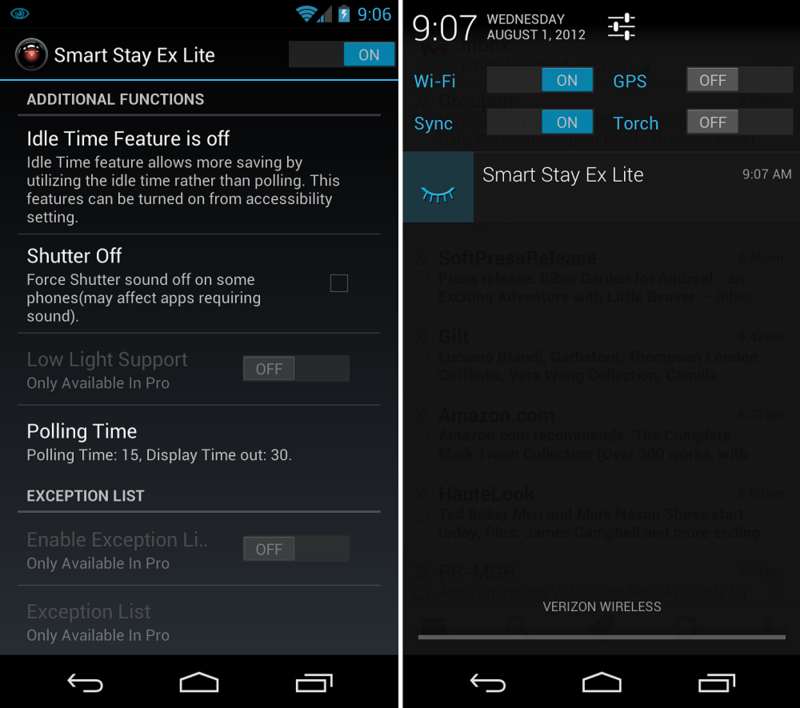 The app is called Smart Stay EX and is now available on Google Play. There is a lite version and a pro version, with the pro version offering a few more options for users such as low light support and the ability to toggle system notifications. If you’ve been hoping to see Smart Stay on your Galaxy Nexus or Nexus 7, here is your chance. To see if you device is compatible, try out the Lite version first and check the list of working and non-working devices here.